Where has time gone? 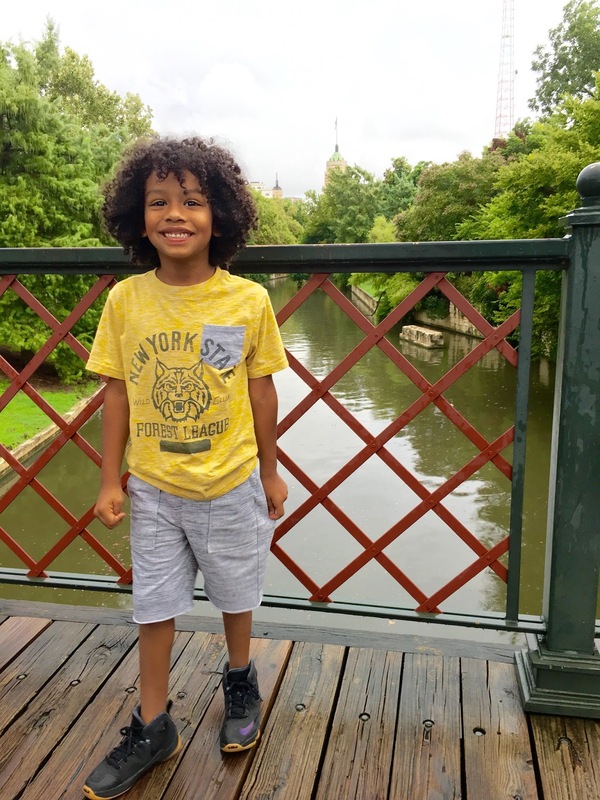 A full week of school has come and went and HTownKid aka my beautiful son, Anthony is now a 1st grader. From what he has shared with me about his time in class he's had a wonderful time. With all the hustle and bustle of enjoying our summer vacation and planning for back to school we didn't make time for his eye exam. I have to be truthful, I wasn't planning on having his eyes checked because for one I never wore glasses as a child. Secondly, he's never mentioned he has troubles with his vision, but the more I thought about it I must get his eyes checked because his daddy was a glasses baby so in reality; there is a 50/50 chance. 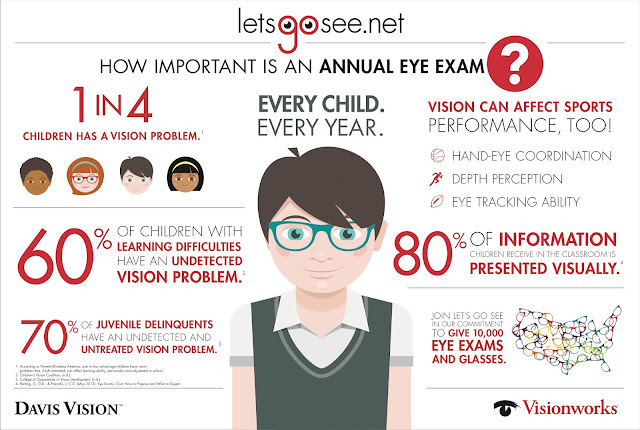 I'm glad to be partnering with Vision Works to promote the importance of having our kids' eyes checked. They have an easy to use and full of information page for the "Let's go see" campaign that you guys will learn from just as I did. It's recommend that children get a comprehensive eyes exam between the ages of 3 and 6 so according to the recos we are due for a check up. What are the signs that my child might have trouble seeing? One thing that Anthony does do often is sit close to the TV's at home plus play on his tablet and phone and although I have reiterate it every time he does it anyway - one more reason to get his vision checked. We have a vision appointment next week, I'll keep you guys updated on the outcome. Wish me luck and hope its not like his hair appointment. If he happens to need glasses, Vision Works has a great and stylish selection of glasses for all children and their personal style.